Angel Pennefather is EYOS' representative and expedition coordinator in Melanesia. Angela will act as a conduit between Captains and local communities to ensure the yacht’s smooth passage, adherence to cultural protocols and optimal guest experiences. Based in Cairns, Australia and Papua New Guinea, she can assist Captains with logistics before the yacht arrives as well as provide insight as an onboard guide. Significantly, Angela is fluent in neo-Melanesian languages. Unlike most other destinations, PNG is a country of sub cultures. Successfully navigating through these often subtle differences from village to village can be a very delicate affair and the difference between a good experience and an extraordinary one. Angela’s role begins even before a yacht arrives in Melanesia. Her services include assistance with provisioning, aviation support, visa assistance and importing of spare parts. Onboard, she acts as a resource for the Captain and crew as well as an expert guide for Owners and charterers if requested. 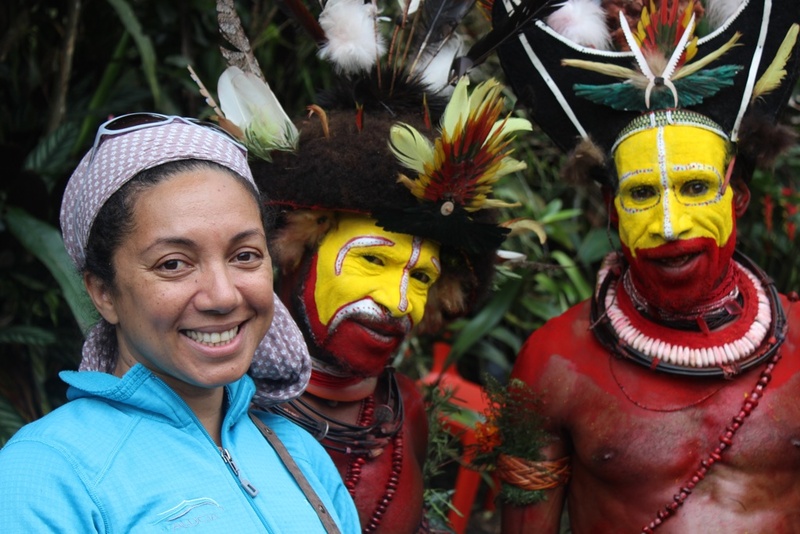 Born in Papua New Guinea but raised in a mixed race home, Angela has a unique perspective on Melanesian and European cultures. She began working on dive boats around PNG at the age of 15 before moving to Australia to complete her education and pursue her obsession with diving. In 2003, she began working on superyachts as Chef and spent over a decade at sea. EYOS Founding Partner Rob McCallum lived in PNG for 12 years and routinely guides clients on both land and sea. This year, EYOS will be onboard the expedition yacht Hanse Explorer in Melanesia along with other yachts based in the region.